When the "Avengers: Infinity War" trailer hit the internet, I alluded to a special project that I am going to undertake this year. "Avengers: Infinity War" will be released the first weekend in May, and I've honestly spent lots of time thinking about the franchise as a whole. I grew up reading comic books, I have always liked them. Marvel. DC. Image. Dark Horse. Independent. Whatever. I have essentially enjoyed them all. With a kid on the way, I am very excited to see if my future kid has any interest in them. Because I'll be happy to introduce these worlds to them if they want to. I never thought, in my wildest dreams, that we'd ever see a universe quite like the comic universes DC and Marvel have created. But Kevin Feige was able to pull it off for Marvel, and audiences have been reaping the rewards ever since. I mentioned this when I was writing about the "Avengers: Infinity War" trailer, I mentioned that the Marvel Cinematic Universe was my personal "Star Wars." 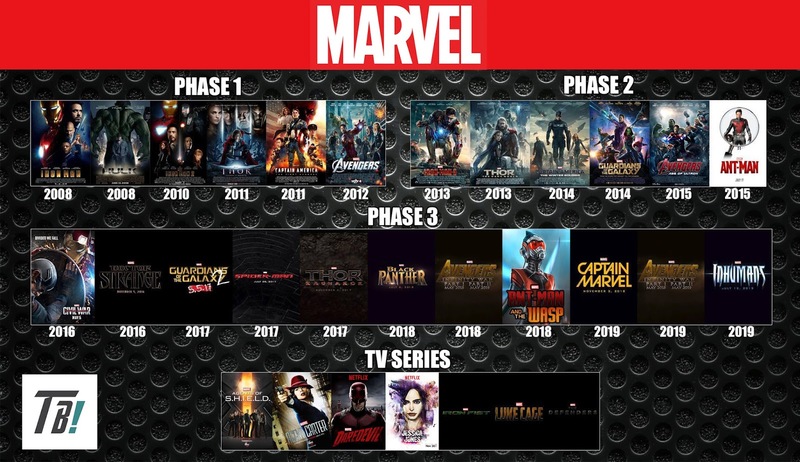 The Marvel Cinematic Universe is, by far, the biggest franchise I ever lived through. I wasn't alive in 1977, so I was alive at the beginning of "Star Wars." I would argue that the Marvel Cinematic Universe is bigger than "Harry Potter" and possibly even bigger than Peter Jackson's "Middle Earth" saga. I am clearly not the only one, if you took a quick look at box office intake on all the films. People are loving this world of superheroes. And as somebody who loved reading about these characters, this is a big deal to me and I am thankful that this journey has worked so far. An eighteen movie franchise is hard to pull off, and Kevin Feige has done a good job so far. Kevin Feige has teased that "Avengers: Infinity War" and "Avengers 4" next year will be a culmination of everything that has happened since 2008 when Tony Stark became Iron Man. I don't know what Feige has planned for 2020 on, but its going to look very different, "Iron Man" through "Avengers 4" is one massive story, and whatever lays on the horizon will be a beginning of a brand new story. Since we are mere months away from this big shift in this ongoing franchise, I thought it was time for a retrospect. Starting this weekend, and every week leading up to the release of "Avengers: Infinity War," I will be re-watching each movie in the Marvel Cinematic Universe, in the order they were released. I will discuss the movies, how they affected me, some cool stories around production of each movie, and why I like the movie in question. Lots of these movies I never reviewed for my website, so lots of this will be new material. Some stuff that I did review for the site won't just be me rehashing what I already said, but a retrospect coming from me right now. So either Friday night or sometime this Saturday, I will be reviewing "Iron Man," next week is "The Incredible Hulk" and we'll go on from there. If I planned this right, and I think I did, then I will have watched each MCU movie until the release of "Avengers: Infinity War." It's amazing to me that when this started in 2008, I was on the eve of graduating high school and I took my then girlfriend to see "Iron Man." We both really liked the movie, but when we watched the end-credits scene. When Nick Fury comes out the shadows after breaking into Tony Stark's house, explaining that Stark had "just joined an entire universe." The world changed. My understanding of how film franchises worked changed. Let's face it, for better and for worse, Kevin Feige changed Hollywood with his superhero franchise, and it will interesting to see where his story leads next. It's also amazing to me how I was just a high school-er getting excited to leave for college when this whole thing started, and now ten years later I have graduated college, found a profession, got married with a house and a kid on the way! I hope you enjoy this look back, and I hope you join me for discussions of these movies as I re-review them. It starts this weekend, and the countdown to Infinity begins then too!